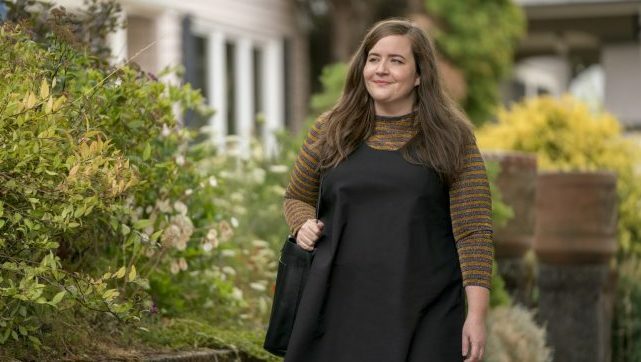 After a month since its series debut, Hulu has officially renewed Aidy Bryant’s comedy series for a 8-episode second season which is scheduled to premiere sometime next year in 2020. All six episodes of season one is already available for streaming, exclusively on Hulu. The small-screen adaptation of Shrill is written by West, Ali Rushfield (Friends from College), and star Aidy Bryant (Saturday Night Live, The Big Sick). Bryant plays Annie, a fat young woman who wants to change her life, but not her body. Annie is trying to start her career while juggling bad boyfriends, a sick parent, and a perfectionist boss. While Julia Sweeney (Pulp Fiction) played Bryant’s mother in the show, which also stars Lolly Adefope (Mission: Impossible — Fallout), Luka Jones (Her), Ian Owens (Oasis) and John Cameron Mitchell (Hedwig and the Angry Inch). Lorne Michaels’ Broadway Video will produce Shrill along with Elizabeth Banks, Max Handelman’s Brownstone Productions and Warner Bros. Television. Jesse Peretz will direct and produce the first episode, while Carrie Brownstein will direct the second. Rushfield will serve as the series showrunner.